Amritsar is a city in the Punjab, in northwest India. 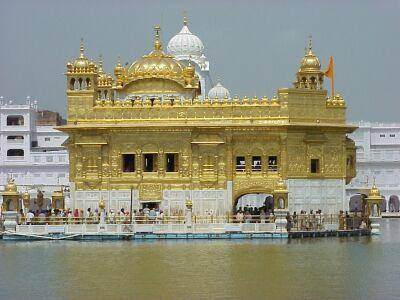 It is a holy place for members of the Sikh religion, and worth visiting for its famous Golden Temple. Amritsar is a holy city in the state of Punjab, India and its name derives from the name of the pool around the Golden Temple (Harmandir Sahib) and means “holy pool of nectar”. It is the spiritual and cultural center of the Sikh religion, and they are rightfully very proud of the city & their very beautiful and unique Gurdwara. Amritsar has various historical and religious sites. The most famous of them all in the Golden Temple which was founded by the fourth Guru of Sikhs, Shri Guru Ramdas Ji and completed by his successor Shri Guru Arjan Dev ji. Another revered shrine is the Durgiana Temple which is dedicated to goddess Durga. The museum at Ram Bagh houses weapons dating back to Mughal times and some portraits of the ruling houses of the Punjab. The Jallianwala Bagh at Amritsar reminds the visitor of one of the most brutal massacre events in the history of India. Bullet marks and the well into which some people jumped to escape the onslaught can still be seen. Some other attractions are—the Fort Gobind Garh which was built by Maharaja Ranjit Singh and the Tarn Taran tank which is 25 kilometres south of Amritsar. 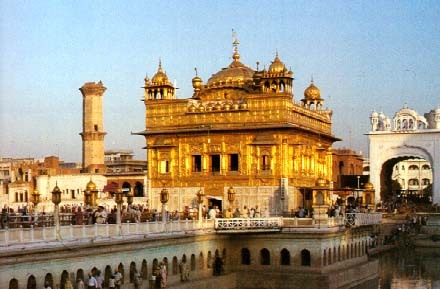 Amritsar, home to the Golden Temple is one of the most historical and fascinating cities of India. It is an important seat of Sikh history and culture. Being the gateway for travellers coming to India on the overland route from central Asia it soon became the centre of various commercial activities. The most famous of them all in the Golden Temple which was founded by the fourth Guru of Sikhs, Shri Guru Ramdas ji and completed by his successor Shri Guru Arjan Dev Ji.